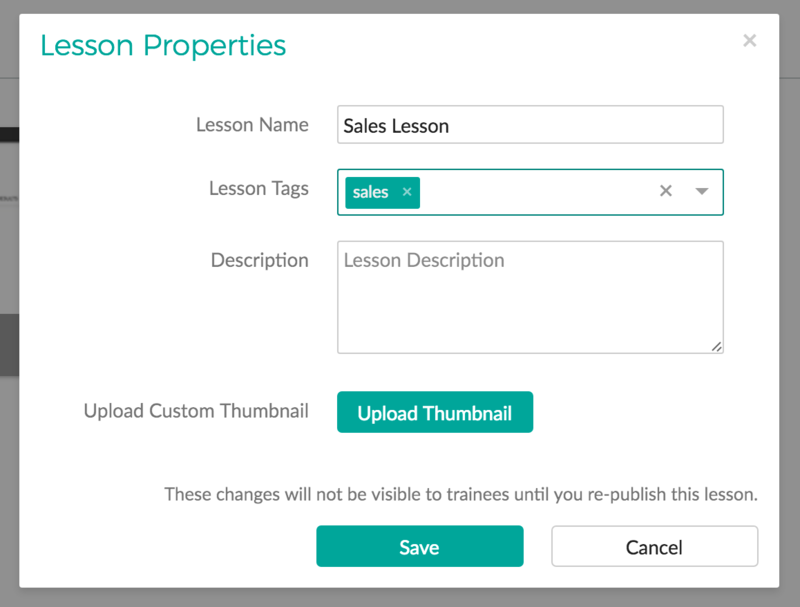 You can categorise your lessons by adding tags to them. A lesson can have as many tags as you like. Go to Manage > Lessons. Find the lesson you want and select Edit. 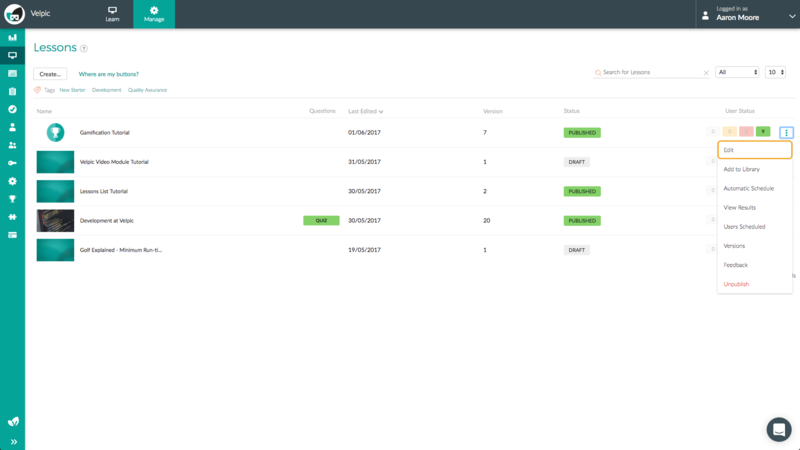 Select the Lesson Settings button next to the lesson name. Enter the tags for your lesson. You can also select pre-existing tags by searching for them. Any tags that do not exist will be created. IMPORTANT: You need to publish your lesson to have these tags available to trainees in the Library. 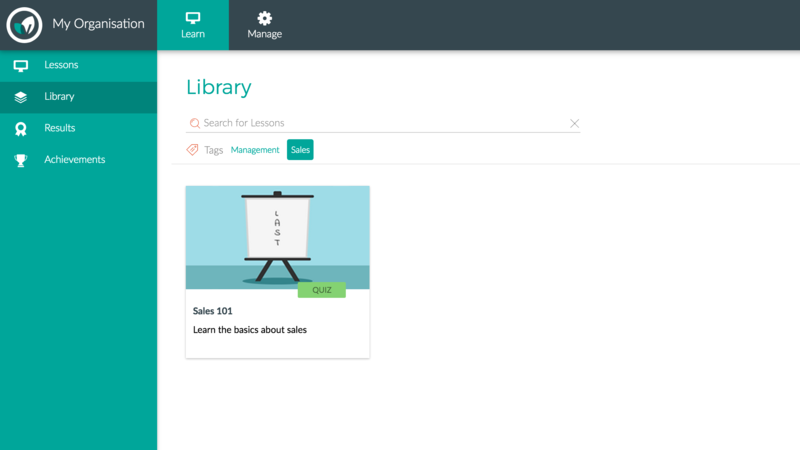 When searching for lessons in the Library, trainees can filter their results by one or more tags. These tags can be selected whilst performing a search.